The Genuine Dining Co. Baristas – The Genuine Dining Co.
Love coffee? Do you enjoy working with fantastic people and delivering excellent hospitality whilst having fun at work? The Genuine Dining Co. are on the look-out for Baristas, to join our teams across London. Enjoy making beautiful coffee with freshly roasted beans from our friends at Mozzo Coffee, serving our great customers in a modern and exciting environment. You won’t stand still or have a dull moment during your day, with coffee to make, customers to serve and delicious food offers to present to our customers. This role is very hands-on, lots of muli-tasking but most importantly – making the perfect coffee that won’t disappoint! 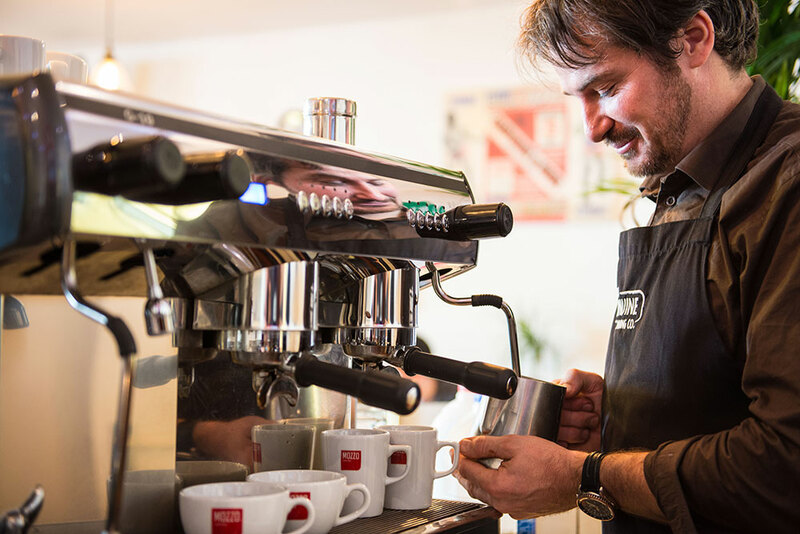 We will coach and train you to know the Genuine way, if you have a Barista experience – that’s great! If you don’t have experience but have the right attitude, we will happily train you!